In a time where anything and everything is digital, there are so many people out there who can’t seem to pry their faces away from their smartphones for more than 30 seconds at a time. 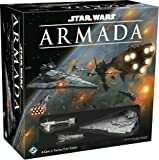 That’s why it’s so fantastic that board games and card games are making a comeback in a BIG way. They’re so popular right now, and perhaps the reason is they force you to actually interact with people face to face. Not on social media, not on Snapchat, not on Instagram, and not through headsets while you play Call of Duty online. Face… to… face. 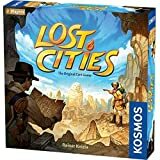 Amazon is running a huge one-day sale on Sunday that we sincerely hope will help the resurgent board game and card game crazes finally reach your household if they haven’t already. And if they have already reached your household, you’ll find tons of discounts on new games to add to your collection. 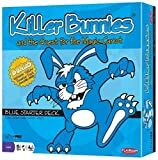 Everything is included in this big sale, from wildly popular games like One Night Ultimate Werewolf and Pandemic: Legacy Season 2 (Black Edition) to lesser known games that are still so much fun, such as Killer Bunnies and the Quest for the Magic Carrot, Sentinels of The Multiverse, and Castles of Mad King Ludwig. You can shop the entire one-day sale right here on Amazon’s website, and you can also check out a bunch of our favorite deals in the list below. Happy gaming!